Benko is first and foremost, a friend. Talking to strangers is easy, he gets acquainted quickly with anyone he meets. Benko is a fast friend who would do anything for those he cares about. In fact, a large flaw is that he cares too much about what his friends think of him. He will often sacrifice his own safety and inhibitions if it makes him seem more likable. Benko is generally easygoing, but can lose his temper if frustration sets in. Namiashi translates to 'walking pace' and Benko is an extension of 'speech' or 'manner of speaking'. Therefore, this young shinobi can both walk the walk and talk the talk. The Benko Gambit is an opening chess move in which a pawn is sacrificed to make way for more offensive maneuvers. Both of Benko's parents are medical ninja from the Namiashi clan. From a young age, he was taught the importance of caring for others and keeping your comrades safe. Benko learned the basics of medical ninjutsu from his father, who encouraged him throughout the ninja academy training. Benko looks up to his dad and strives to be just like him. Benko graduated from the Academy at the age of 15. Old, I know, but he was a late bloomer. By the time he became a genin, Benko had already learned the Mystical Palm Technique. His usefulness as a budding medical ninja was seemingly more important than the basics of shinobi prowess, so that's why it took so long for him to officially become a ninja. His time was divided between helping his parents out in the hospital and training himself each and every day. The young genin was quickly added to Squad 13, consisting of fellow genin Ren Hozuki and Dante Kaguya. His teacher was Mōichido Freska, who Benko affectionately called "Freska-sensei." The jonin was a hardass through and through and believed in using the toughest training methods in order to yield the best results. During training, Freska used the infamous bell training method among others. Despite this, Benko's team broke through their sensei's tough exterior and formed a strong bond. The four are still close. During his genin years, Benko kept true to his nature and made a lot of friends. Early ones, like Kotomaru Hitori and Yoshino Yamanaka, inspired him to reach forward in his ambitions as a ninja. Kaze Hayashi, though not quite a friend at first, showed him that getting mixed up in other peoples affairs isn't always a great idea. Toruma Aburame, who Benko went on his first D-Rank mission with (along with Ren) taught him that age is not a measure of wisdom... or strength. Shippo Inuzuka was the reason he found his natural leanings to Earth Style, and is a constant reminder that old friends shouldn't be forgotten. Upon growing up a couple years, Benko started a relationship with another genin, Shizuka Nara. They were inseparable until sometime during the Chunin Exams, at which time the partnership ended. Finally, Benko's closest friends are Hayato Hyuuga and Fo Sarutobi. The trio act almost like brothers at times, and find great joy in drinking heavily with each other on a regular basis. Benko's first major mission started mysteriously. He and the rest of the genin were lied to, told they would be heading somewhere to help fix a boat, move some cargo, etc. As it turned out, it was all just a ploy to set them up for the Battle of Kirigakure. Team 13, led by Kojiro Uchiha temporarily, headed to the Land of Hotsprings, where they hopped on a ship to the shores of the Land of Water. It was revealed that they'd be heading into the Hidden Mist Village in an ambush, as retaliation for what happened before Benko had become a ninja. (Note: Hangeki means 'counterattack' or 'revenge'). Benko and his team didn't agree to this, but they followed their leader into the mist regardless. Upon arrival, they saw the tragedy that was a scorched village. Kain Hyuuga ordered everyone to go find survivors and save as many lives as possible. Ren managed to find a young boy in the wreckage, who revealed that a dragon had destroyed his home. They were then set upon by a bunch of older survivors, who attacked and refused to listen to Benko's reasoning. Just then, a telepathic communication from Kain told everyone that there was a huge battle on the Northern Beach. Squad 13 rolled out toward the location and got ready for the toughest fight yet. The Battle of Kirigakure started out with the outmatched Kiri forces (led by the Mizukage) fending off attackers from two other unknown ninja villages. Then the Konoha forces showed up to even the tide. Benko, Ren, and Dante jumped down to the pits of sand in the south of the beach, where things got explosive. They, plus a Mist shinobi named Hex, were pitted up against Pistol Fist Radevnski, an Iwa shinobi who could cause dynamite-like bursts just by punching. 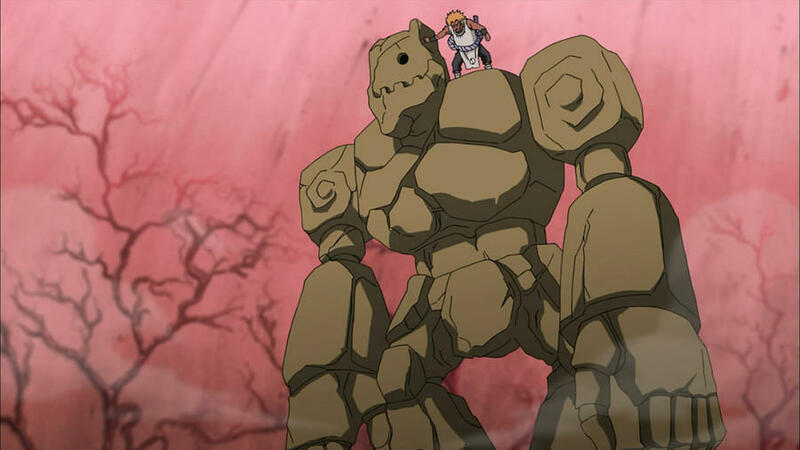 It was revealed that the Mist had attacked the Hidden Stone Village, who in turn had recruited the Hidden Sand to pose a counterattack. It just so happened that this coincided with Konoha's revenge on the Mist, which Kain had turned into a treaty. All of this morphed into a complicated war, in which Benko's job was pretty easy: Fight. Utilizing all their teamwork and fighting spirit, Radevnski died in battle. 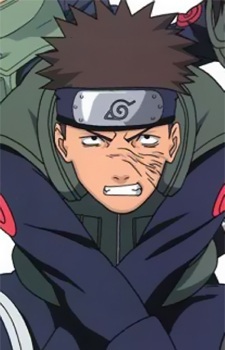 Benko was minorly injured, burned by one of the many explosions, but wasn't hurt beyond that due to the appearance of Katsuko Sarutobi and his sensei, Freska. They both shielded Team 13 + Hex from the last explosion of Mr. Pistol Fist, and got them to safety right after. The battle was ended quickly after that, with Kiri and Konoha driving away the enemy forces. In the aftermath, Benko was able to mostly heal his own burns, but was met with the startling sight of his friend Hayato completely worked over by fire. He and Shizuka headed back to the Leaf immediately with Hayato to oversee his treatment, and for Benko to help the hospital with the huge influx of patients. Other expeditions took place in the time following the Kiri debacle. Benko journeyed back to the Land of Water with Dante, Ren, and his father on what was basically a supply run. Boroko was delivering medical stuff to Kirigakure, while Benko was looking for his friend Fo. They returned soon after with the Sarutobi and Benko's new shield in tow. Somewhere in the interim, Shippo Inuzuka and Benko accompanied Kotomaru on his journey to find the remnants of his clan. The trio made it to a far off land and encountered mostly friendly people. Kotomaru's heritage was discovered, and Benko gained a lot of knowledge along the way. Team 13 had trained for weeks to be prepared for the testing that would determine if they'd advance to the next rank. Freska personally trained him in his natural inclination to Earth Release, and his expertise continued to grow. When the time finally came to head out and show off their stuff, Team 13 found they'd be pitted against every other team (including ones from Kiri). They were ushered into the Forest of Death equipped with an Earth Scroll, with the objective being to acquire another team's Heaven Scroll and make it too the center. Team 13's first encounter was with Team 15, whose members included two of Benko's closest friends and his girlfriend (Hayato, Toruma, and Shizuka). The sixsome decided right then to form a super team, dubbed Squad 28, and headed out together. The unstoppable force soon pounced on the solitary Hisai Uzumaki, who was apparently unstoppable himself. They almost got him, too, before another team showed up to ruin it all. The ambushers of the ambushers were ultimately determined to literally kill Benko and all his friends, and the situation was very tense. Thankfully, the Forest was mysteriously set on fire right in the middle of the fight, and everyone was told to evacuate to the center tower. Even though they hadn't gotten both sets of scrolls, Team 13 was allowed to advance to the next round. The written test was full of knowledge that Benko had absorbed throughout his time at the Academy and also as a full-fledged shinobi. Because of his experience and determination, Benko was able to pass the test. He, along with Dante, Ren, and five others, advanced to the final round of the exams. Benko was not at all prepared for what was about to come next. The very first match in the one v. one tournament was against one of his oldest friends, Kotomaru Hitori. They agreed without speaking, right there on the battlefield, that there wouldn't be any hard feelings afterward. The battle started like usual, with Benko showing off his Earth Style techniques and Kotomaru using his breath control to gain the advantage. Before they even got anywhere, however, the stage was overrun. Shadow monsters possessing the techniques of Konoha's strongest clans and completely new abilities entered the arena threateningly. The Hokage, seeing this issue, ordered Benko and Kotomaru to fight back. After Shinzo Nara had joined the battle and all their techniques were analyzed, something completely unexpected happened. The shadow creatures morphed together and grew into something massive: A Godzilla-esque behemoth that was taller than the stadium itself. The Second Hokage joined the fray, and the monster was taken down piece by piece. Benko and the gang worked to save the villagers that were still in the stands, and no civilians were harmed thanks to their efforts. The monster was defeated, and the village was saved. The next day, Benko awoke to a package. He met up with Ren and Dante to open them together, and that's when they found themselves a squad of chunin. The former Team 13 met up in a bar that night to see their former sensei, Freska. They reminisced about the past and looked forward to their duties in the future. They took a squad picture, all dressed up in their new flak jackets, and Freska encouraged them to follow their dreams. Oh, and Ren got the Kyuubi sealed inside her. Now, as a chunin, Benko's current efforts are split between four things. His formal job still remains at the Konoha Hospital. Using his ever-growing medical knowledge, Benko became a necessary part of the staff. He works almost every day to continue stabilizing the village and attending to the people of his home. His committment to the hospital and his parents never wavered. Benko has continued to stay close to his former teammates. In training together, the three are working to enhance their cooperation and strengthen each others' abilities. Unlocking the mysteries of the Kyuubi is an especially daunting objective. The trio is also preparing for their upcoming Jonin Exams together. The chunin has also continued to find suitable missions for his talents. Together with Ren and Dante, he managed to find a conspiracy in the Konoha Police Force and thwart a horrible plot. He went on a mission led by Shino Yamanaka to search an abandoned Leaf outpost, ending in the death of an S-Class Puppeteer Rogue-Nin. He was present for the Epsilon 32 Resort disaster on Jiro Island, and contributed to the "coup" that followed. Immediately after returning, he set out with Kiaro and Kaze to help find a missing ANBU agent. Finally, Benko never lets his closest friends down. He's always there when Hayato and Fo want to go out to the tavern and get smashed like usual. He's tried to assist his friends with their romantic interests, with varying success. Single and ready to mingle, Benko is continuously looking for a good time. Medical ninja are hard to come by. In the past, that was the reasoning behind Benko's lack of offensive capabilites, he had focused more on healing than attacking. Medical ninjutsu requires excessive training, and he was only a novice. Now, he's one of the best in the field. Benko has also been working on entirely new medical techniques (including ones that attempt to use nature releases). Benko has now had a lot of combat experience, he knows his way around a battlefield. He shows a knack for shuriken accuracy, kenjutsu, and defensive taijutsu. He was given a sword by his father, and bought a shield in Kirigakure. Freska, his sensei, honed his use of Earth Release while he was a genin. He can use rocks in his environment for defensive and supplementary techniques. They tend to boost his offense even more than everything else though. Some of Benko's strongest moves hinge on his earthy expertise. Boroko Namiashi, his father, taught him Water Release in addition to medical ninjutsu. Some of Benko's most elaborate and control-intensive techniques involve using these two at the same time. He's proficient in using water in combat as well, with Ren Hozuki's style as his inspiration. Fo Sarutobi, his friend and comrade, has been training in the use of Fire Release with Benko on occasion. Benko isn't adept in it yet, but his use of it in combat is no less deadly. Kunai (Unlimited): A standard ninja throwing tool. Shuriken (Unlimited): A standard ninja throwing tool. Iron Sword (1): A standard sword. Brilliant Accord: A nodachi, resembling a large katana sword. The sheath is black in color with white crosses marking it - the guard near the handle appears to be made out of some kind of white animal fur. It's as strong as steel. The blade is so sharp that the effects of anything cut by this sword are not felt until seconds later, making it appear as if cuts created by this katana are on a time delay; up to and including five seconds long. Steel Shield (1): A circular shield. Small Medical Bag (1): Single-use supplies to stop bleeding. Naruto World RP Wikia is a FANDOM TV Community.